Everybody wondered who would own the Clasico with no Lionel Messi and no Cristiano Ronaldo. 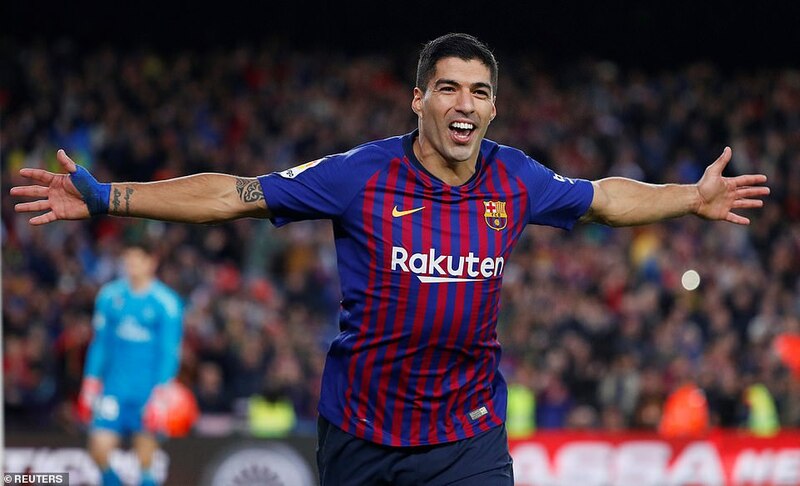 Luis Suarez bought it lock stock and barrel, scoring a hat-trick in a 5-1 thumping to move Barcelona seven points clear of Real Madrid who will now surely sack Julen Lopetegiu. 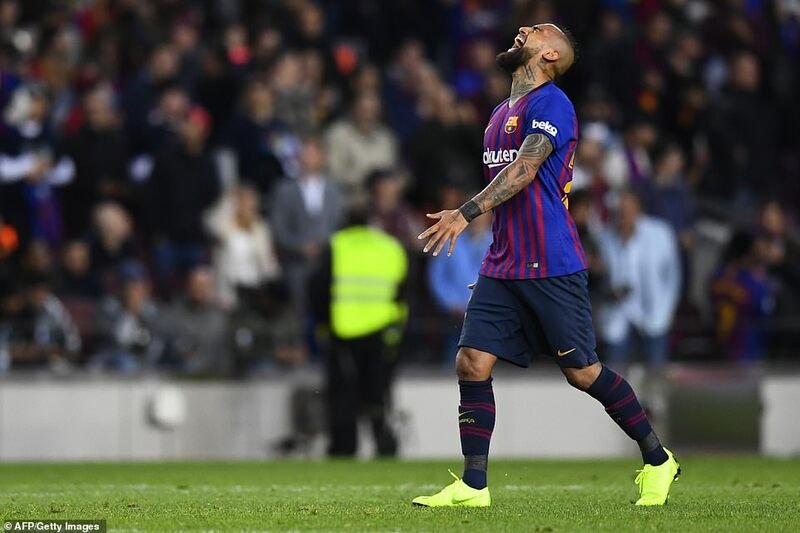 His treble made it nine goals in 11 Clasicos and with his old Liverpool team-mate Philippe Coutinho and Arturo Vidal also scoring Real Madrid had no response. Some say Real Madrid have been fighting with one hand tied behind their back this season without Cristiano Ronaldo. 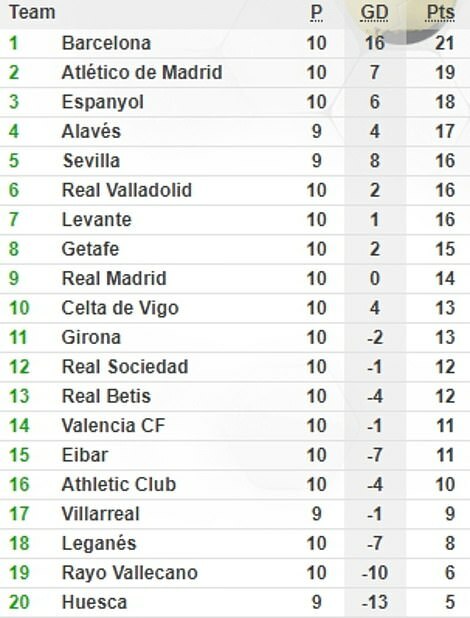 But this was Barcelona without Lionel Messi, and yet still they were battered by their great rivals. 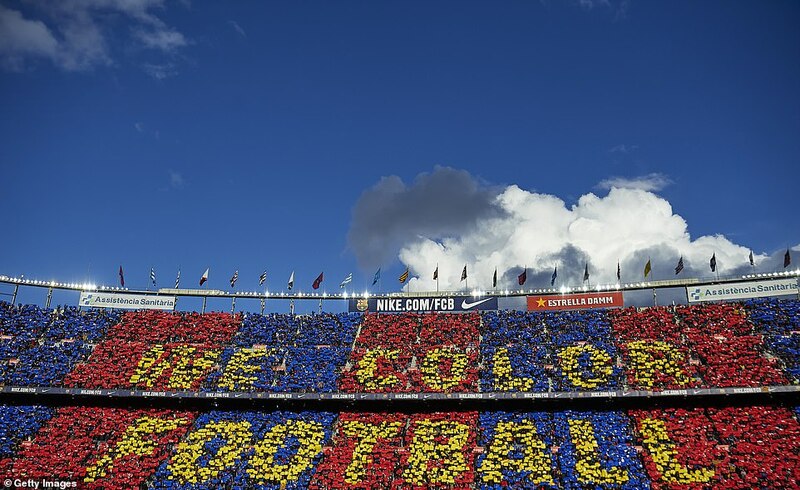 BARCELONA: Ter Stegen; Sergi Roberto, Pique, Lenglet, Alba; Rakitic, Busquets, Arthur (Vidal 87); Rafinha (Semedo 69), Suarez, Coutinho (Dembele 74). Subs not used: Cillessen, Malcom, Munir, Chumi. Goals: Coutinho 11; Suarez 30 (pen), 75, 83, Vidal 87. REAL MADRID: Courtois; Nacho, Varane (Vazquez 46), Ramos, Marcelo; Casemiro, Modric, Kroos, Isco; Bale (Asensio 77), Benzema. Subs not used: Navas, Odiozola, Ceballos, Valverde, Mariano. 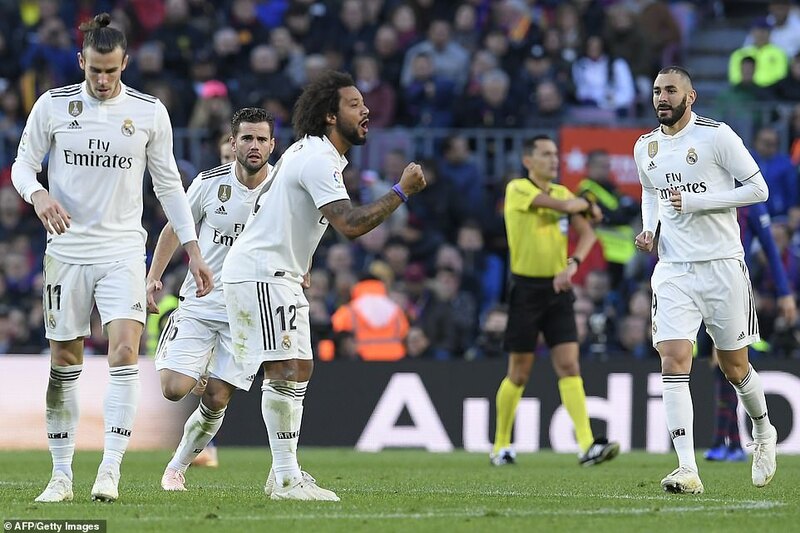 Madrid were physically, tactically and mentally second best for most of the game delivering the sort of performance only likely to speed up the dismissal of of their hapless coach. There was a lack of spirit from them from the first whistle. 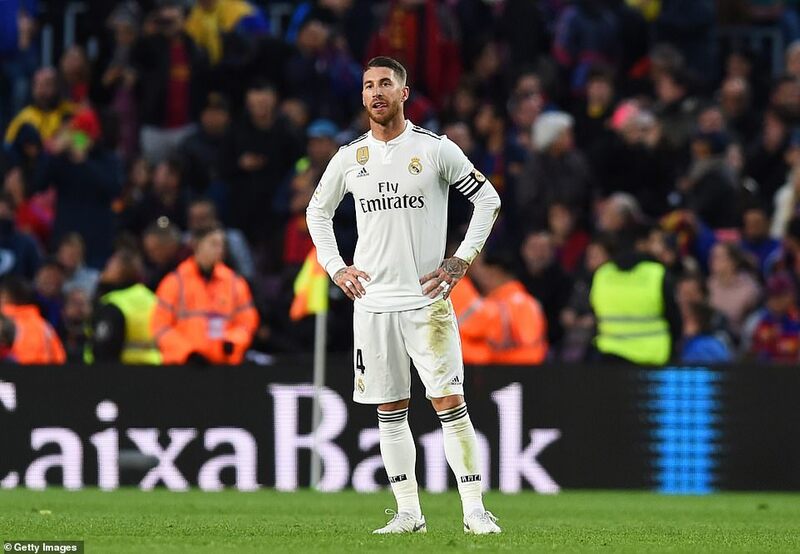 Sergio Ramos took five minutes to give away his first foul clattering Rafinha with Barcelona players demanding he be carded, but those around him were second to everything as Barça dominated possession. 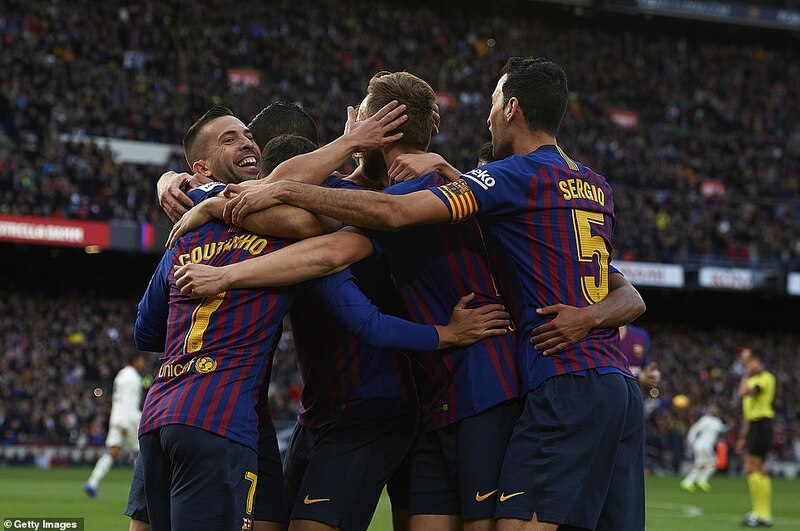 It was no surprise when Jordi Alba created the first goal. The signs were there right from the kick-off that he would have free reign down the left-hand side. Was it Gareth Bale’s job to track him? Should Luka Modric be coming across? Or was it right-back Nacho’s responsibility to handle him alone? 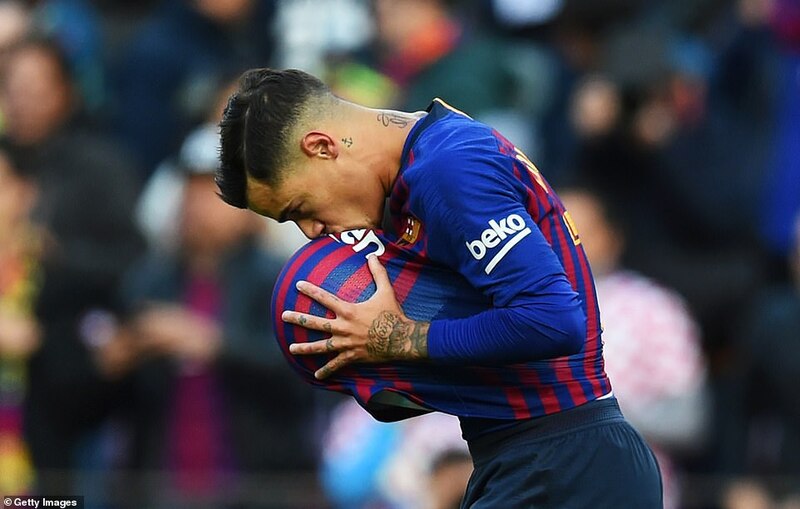 Whoever’s job it was no one was doing it and Alba centred for Philippe Coutinho to score his fourth goal in his last six games after 11 minutes. 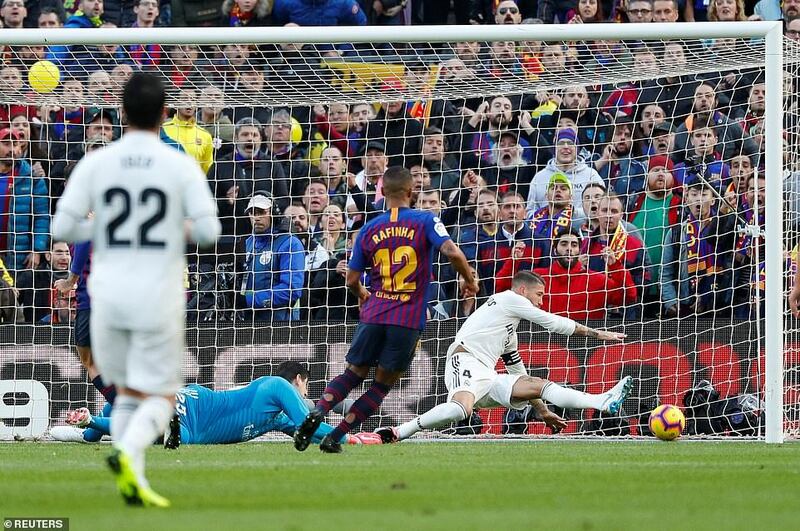 On the half hour it was 2-0 and we had the first ever video referee assistant given goal in a Clasico. 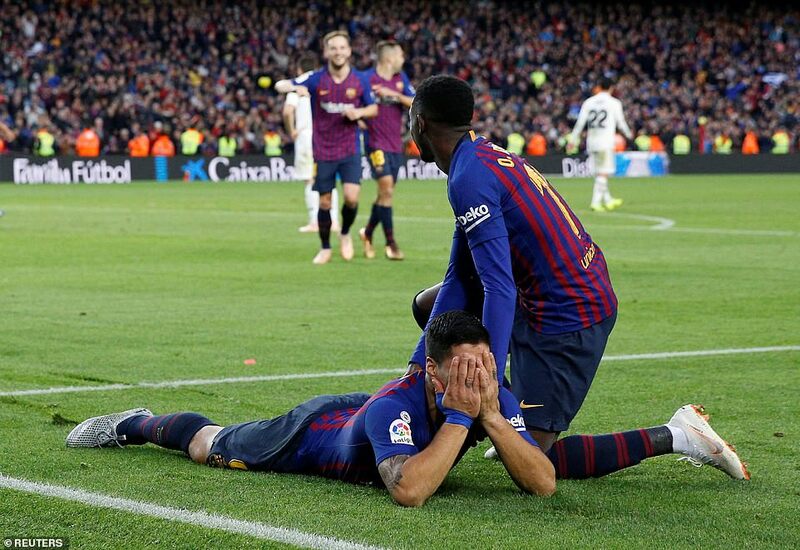 Varane bumped into Suarez getting plenty of the player and none of the ball and although the referee did not see the incident he was alerted to it and after watching the replay on the pitchside monitor he pointed to the spot. 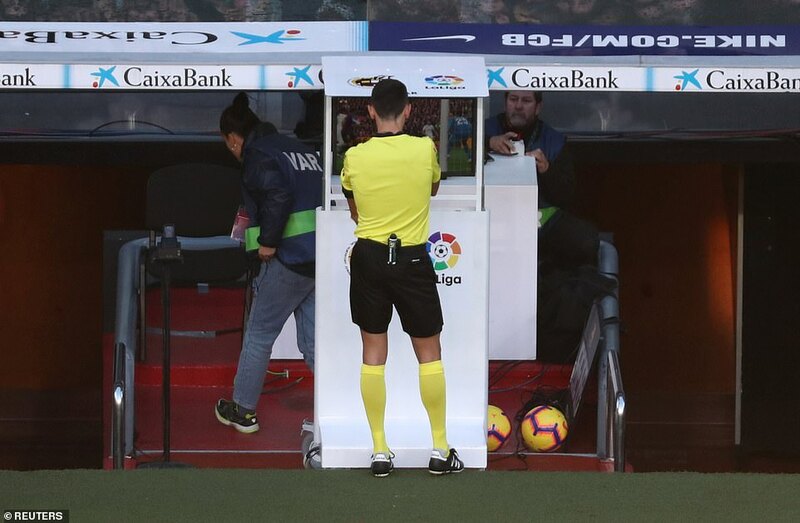 Who says VAR takes drama and excitement out of football. The roar to greet the decision was the biggest cheer of the afternoon. Lopetegui was not so animated. 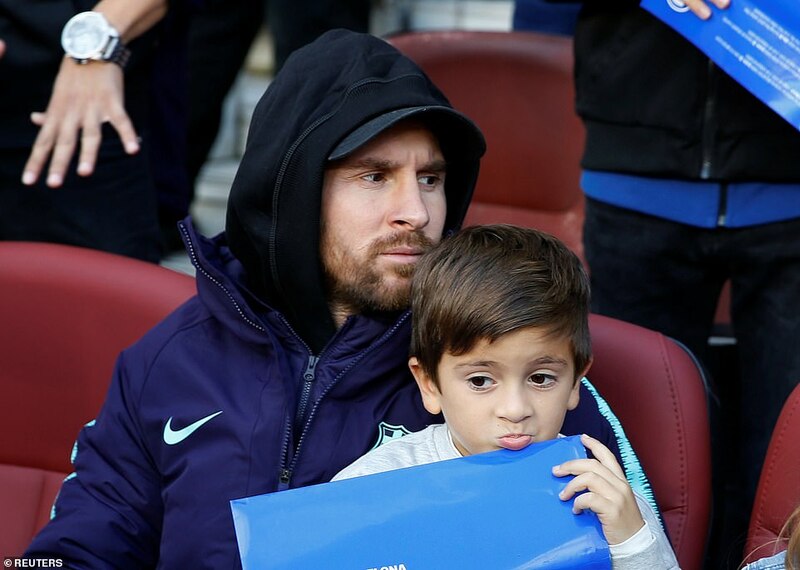 He had been slouched back into his seat in the dug-out as the referee made his way over to the screen. He got to his feet to take a look at the replay, hands in pockets fearing the worst. 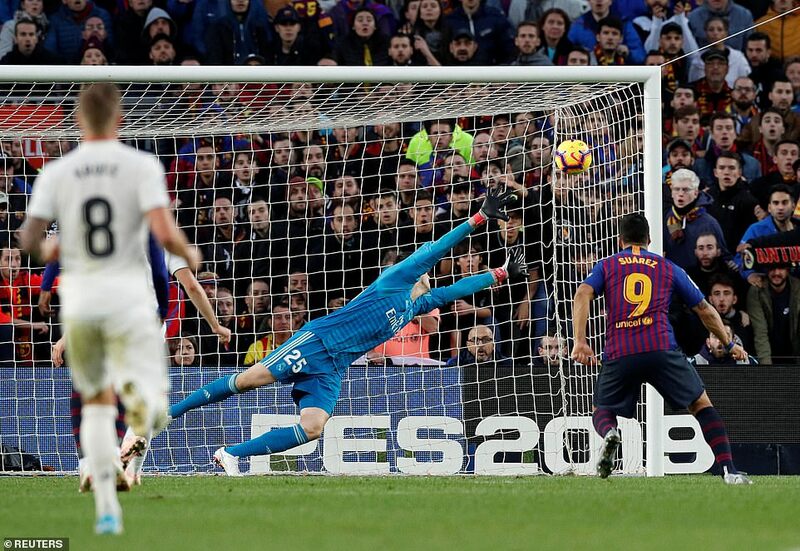 When Jose Maria Sanchez drew the imaginary television screen and pointed the spot it was left to Luis Suarez to score his seventh goal in 11 Clasicos with a penalty that just beat the dive of Thibaut Courtois. 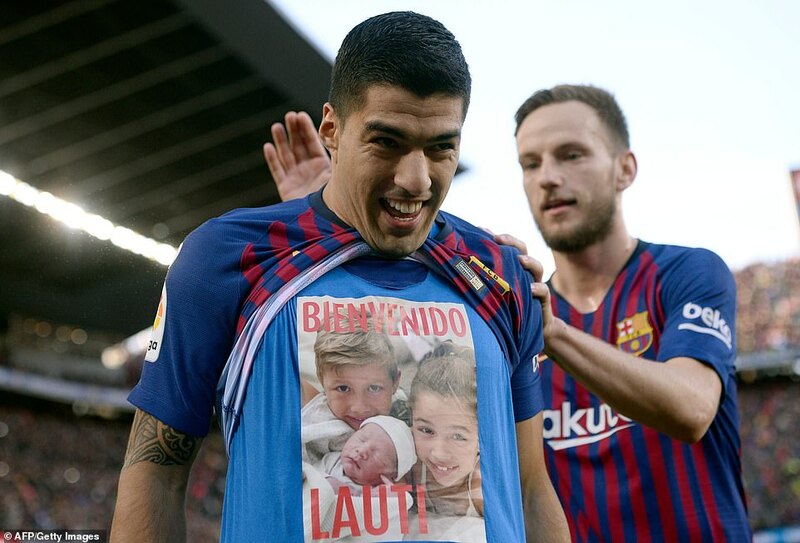 The goalkeeper thumped the Camp Nou turf in frustration and Suarez pulled up his Barcelona jersey to reveal a ‘Welcome Lautaro’ message to his third child, born this week. 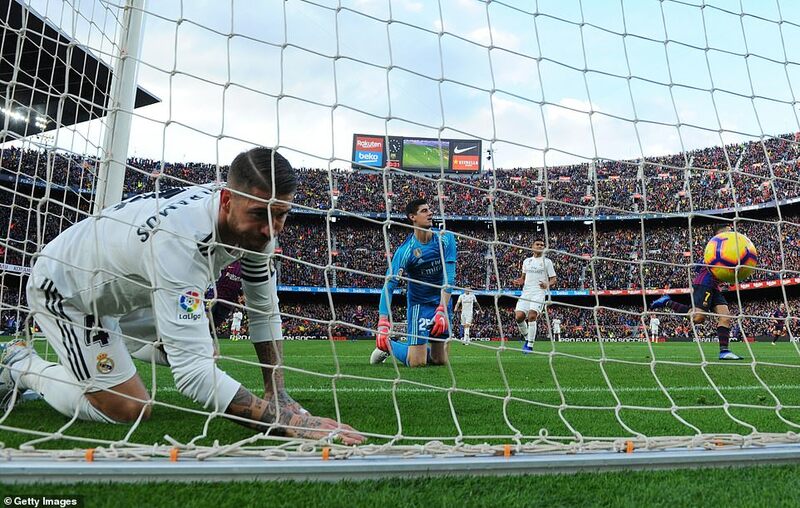 Real Madrid’s first half tactic of shooting on sight had not troubled Marc Ander ter Stegen who gathered efforts from Ramos and Bale with ease. 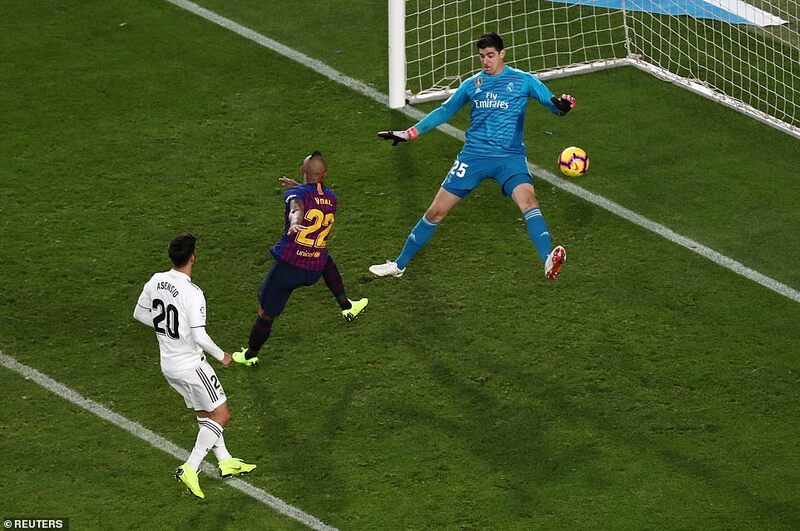 Ramos it was who gave the ball straight to Arthur and the Brazilian’s shot drew a fine save from Courtois. 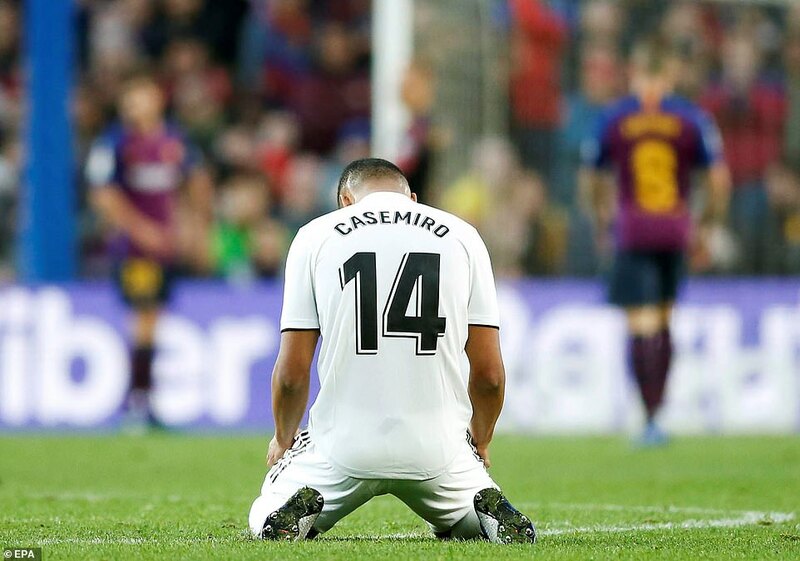 If not for that save and Rafinha often making the wrong decision in the final third it could have been worse at half time for Real Madrid. 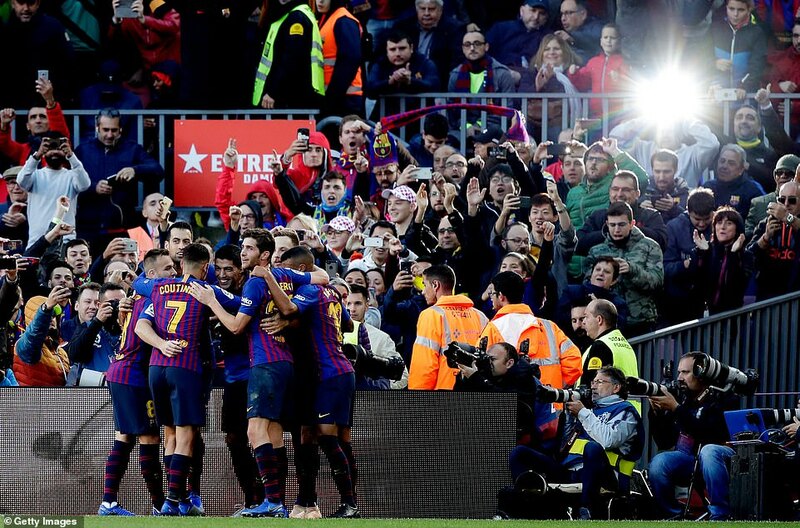 They were also let-off when Gerard Pique headed Suarez’s cross wide as the Barça centre-back started to venture further forward in search of a goal. Lopetegui took Varane off at half time with Lucas Vazquez replacing him. 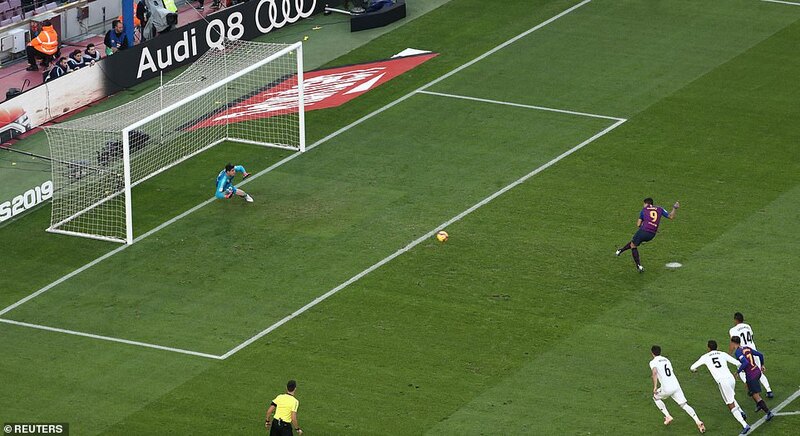 Within 10 minutes of the restart they had pulled a goal back and Modric had hit the frame of the goal. 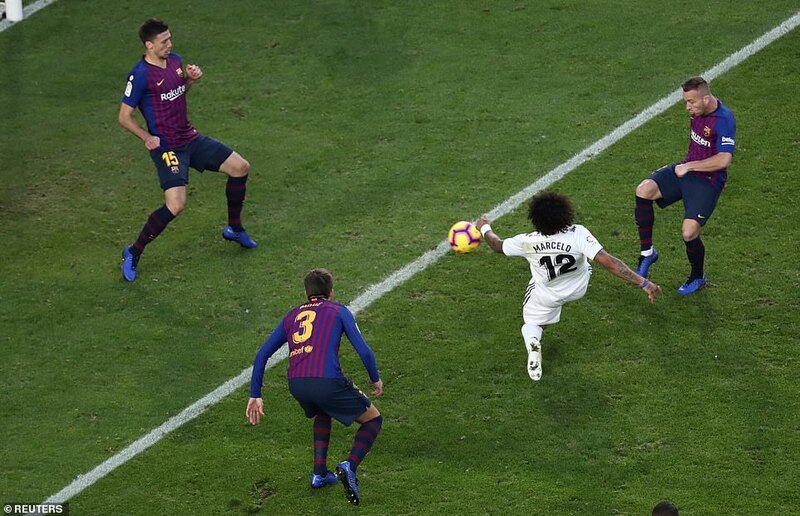 First Isco crossed from the right and Barcelona could only clear to Marcelo who scored whose third goal in three games. Modric then had the chance to level but thumped his shot onto the foot of the post. 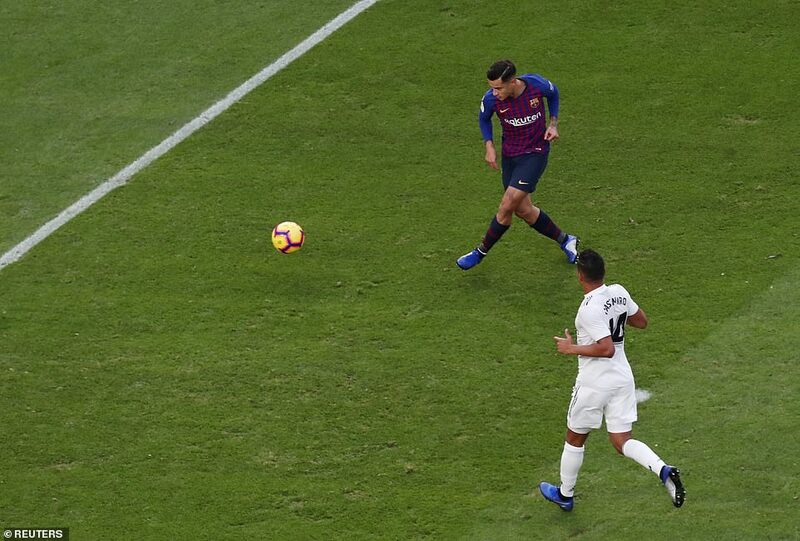 Barcelona responded with Sergio Roberto’s cross, flicked on to the post by Suarez. Valverde reacted by telling both Ousmane Dembele and Nelson Semedo warming up. It was the latter came on with Rafinha going off and Sergio Roberto moving forward. It wasn’t long before Dembele had joined him for Courintho. 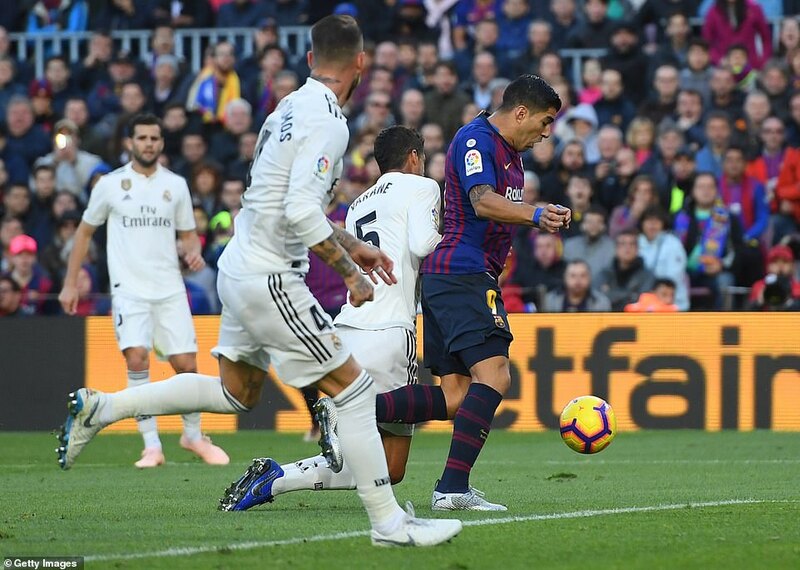 He immediately played a part in the third killer goal touching the ball on to Sergio Roberto who crossed for Suarez to score his sixth goal of the season in La Liga. He ran to the side of the pitch to high-five his two children. Madrid were back on the canvas and Lopetegui reacted by taking off Bale and throwing on Asenasio. It changed nothing. 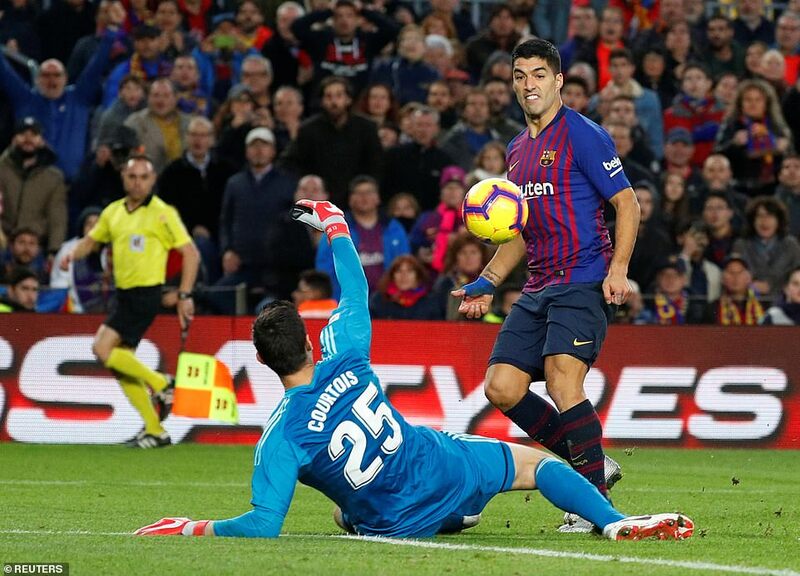 Suarez was booked for a clash with Nacho but nothing could take the shine off his afternoon and he so nearly scored a fourth denied by Courtois. That would have been goal number six because substitute Vidal had by now netted the fifth.